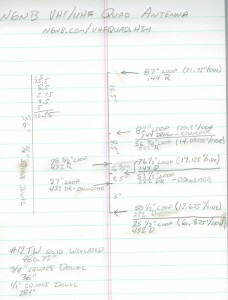 I'm interested in VHF and higher bands. Unfortunately my current home doesn't permit me to really dive into these bands like I'd prefer (with LOTS of big antennas!). So, to get my fix, I'm hoping to build a rover station that I can use go catch some new grids and explore the countryside. N6NB has it figured out. Among the technology he's brought to the hobby is a VHF/UHF quad antenna that covers 144, 222, and 432 MHz in a compact form. 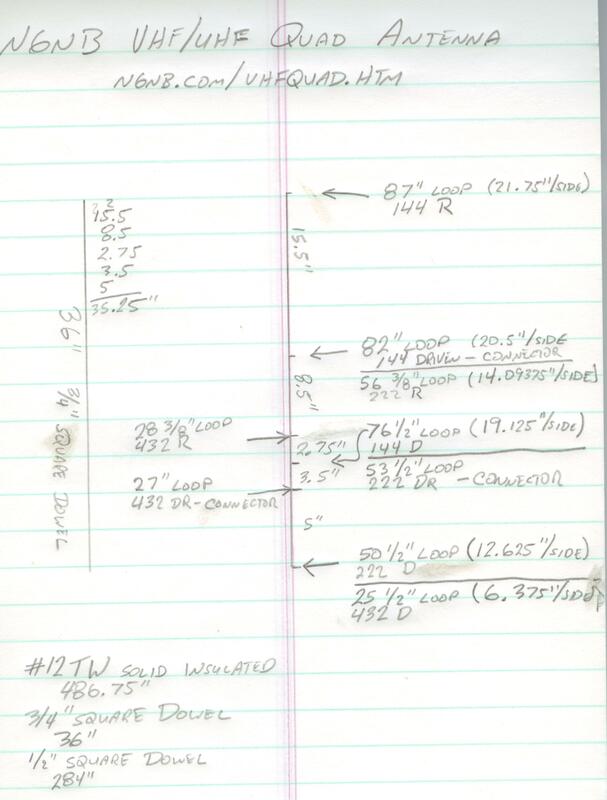 I'm hoping to duplicate this antenna (maybe several times) and see how well it works (and maybe improve it?). 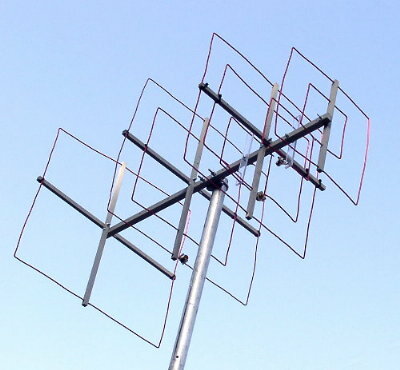 His website provides a good written description of this antenna along with a nice photo. Unfortunately a good drawing was not available. I've drawn one up to the best of my abilities along with an incomplete parts list. I'd like to make a couple of these and compare them with my current antennas I'm using on 144 and 432 MHz. I'll add more notes to this page as they become available.